Photo of: East Coast of Ireland: Meath: Newgrange. Dawn on the day after the Winter Solstice. The huge Hunter's moon is dipping down over the burial chamber which is just being touched by the sun's rays. 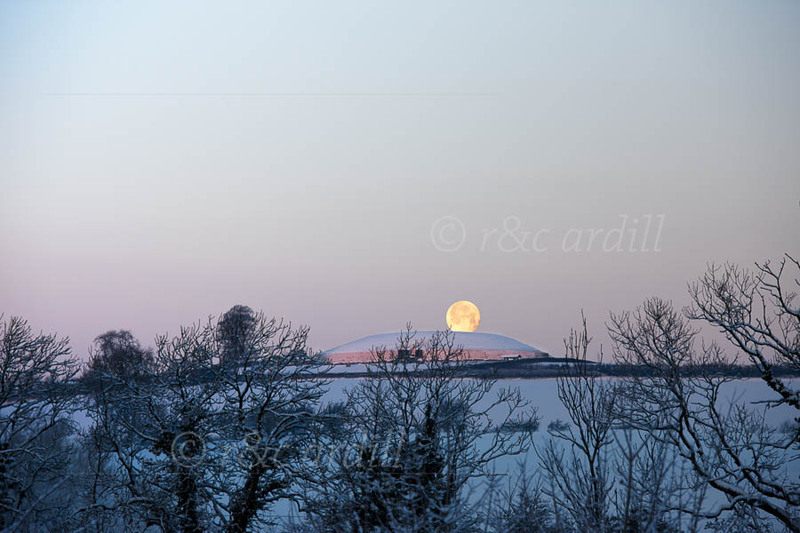 This is a most unusual sight in Ireland: the extremely low temperatures and the fields and tumulus covered by frost and snow are rare enough; but to have these at the same time as the Winter Solstice and the Hunter's Moon was a thrilling site to see.